Scones and coffee are best buds. They just go together. 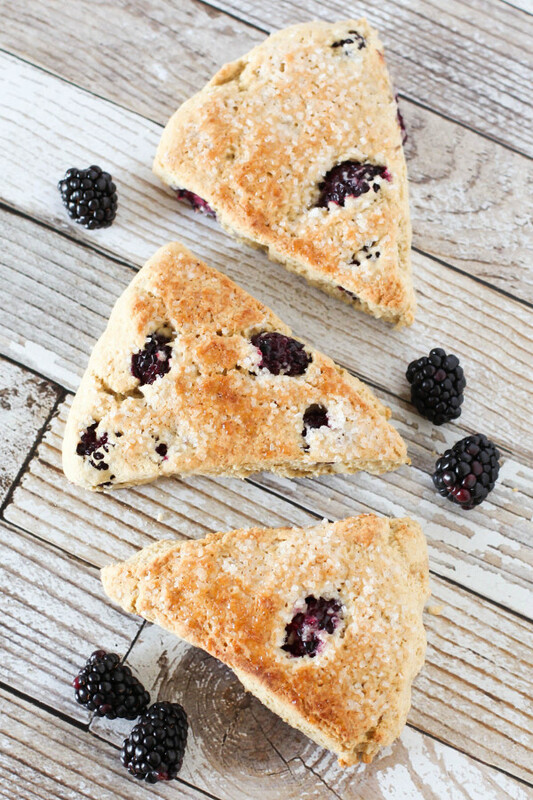 A hot cup of fresh pour-over coffee, paired with a warm, tender scone. A little bit of sweetness and a whole lotta love. When you find me dunking my scone into my cup of coffee, you find me in my happy place. The days are getting warmer and the fresh berries are coming out to say hello. I love berry season! I could eat fresh berries everyday. Well, I pretty much do. Strawberries are at the top of my list, but blackberries are a close second. So sweet and so juicy. A beautiful fruit indeed! Folding in a bunch of fresh blackberries into my scone batter was a mighty fine idea. With a touch of vanilla and a sprinkling of sparkling sugar, these scones are everything I had imagined they would be. Bursts of blackberries throughout and a little crunch on top. 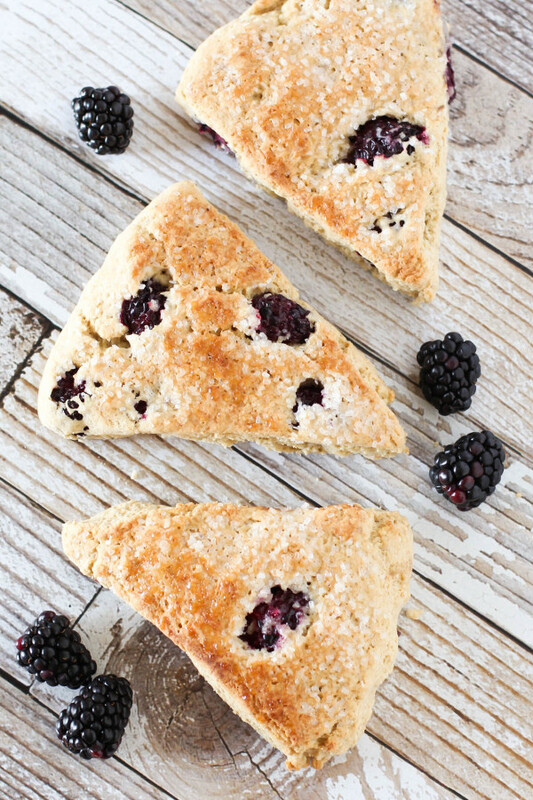 If you are like me and need that cup of coffee in the morning, you certainly need these gluten free blackberry scones in your life too! Preheat oven to 400 degrees. Prepare baking sheet by lining with parchment paper. Set aside. In large mixing bowl, sift together flour, oat flour, cane sugar, baking powder, baking soda and salt. Using pastry cutter, cut in shortening until small pieces remain. Mix together almond milk, vinegar and vanilla in small bowl, then pour over flour mixture. Gently blend dough until just comes together. Fold in blackberries. Be careful to not overmix. On lightly floured surface, place dough. Gently pat into 9-inch circle, about 1 inch thick. Using pizza cutter or sharp knife, cut dough into 8 triangles. Place scones on prepared baking pan. Brush tops with remaining almond milk and sprinkle with sparkling sugar. Bake scones 18-20 minutes. If desired, turn oven to broil during last 4 minutes of baking time to get golden brown and caramelized top. Remove from oven and cool slightly on cooling rack. Store in airtight container 1-2 days. These would be perfect with a cup of tea in the afternoon! Mmmmmm scones are one of my favorites! 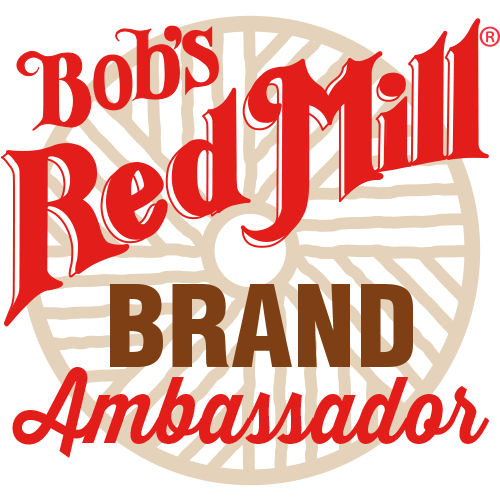 I love baking with GF oat flour, too, but I make my own in a blender or food processor to ensure it’s fresh and of course, so it’s certified GF. It adds so much to recipes, not to mention the health benefits. Thanks for sharing another yummy recipe! These look delicious – it’s been far too long since I’ve made scones but I’ll have to try these out! Omg these are wonderful!! After mixing up your gf flour blend and trying a couple of your other recipes (which turned out great), I couldn’t wait to bake these up for breakfast, and I’m so glad I did! The texture and taste is perfect, just like the scones I ate before I became a gluten free vegan! I even subbed stevia and coconut sugar for the cane sugar to make them low sugar/lower glycemic and they were perfect. Thank you SO much Sarah, you are awesome!! You are most welcome, Bianca! I’m so glad you found my blog and that you are enjoying my recipes!